Our little goofball has grown up and beaten the odds! 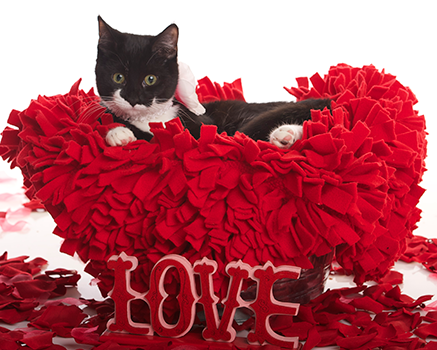 Figaro was born with a hole in her heart that had to be closely monitored as she grew. The hardest part was keeping a kitten less active for months due to the risks involved with a compromised heart. Her most recent echocardiogram ultrasound revealed her development and no longer substantial indication of her ventricular septal defect (VSD) . A heart murmur remains manageable. No medication or treatment is required at this time and possibly ever, however, annual echocardiograms will be needed to keep an eye on her condition and certainly prior to any surgery. Figaro has celebrated her first birthday, and ready for her for forever family. A calm household with a feline companion that won’t play too rough will be best for Figgie. She is not fond of dogs or sharing her food! FIV/Felk negative.